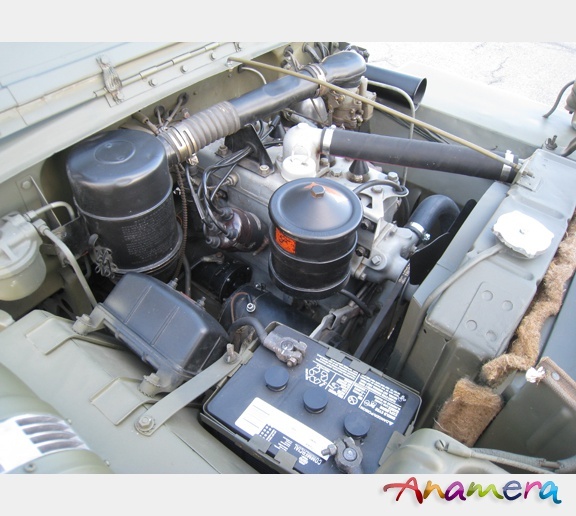 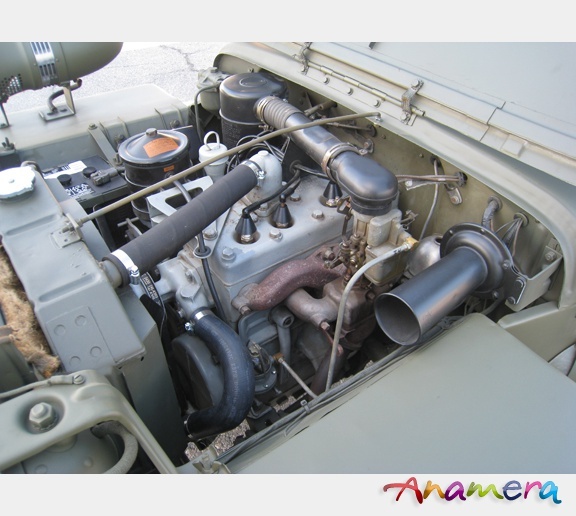 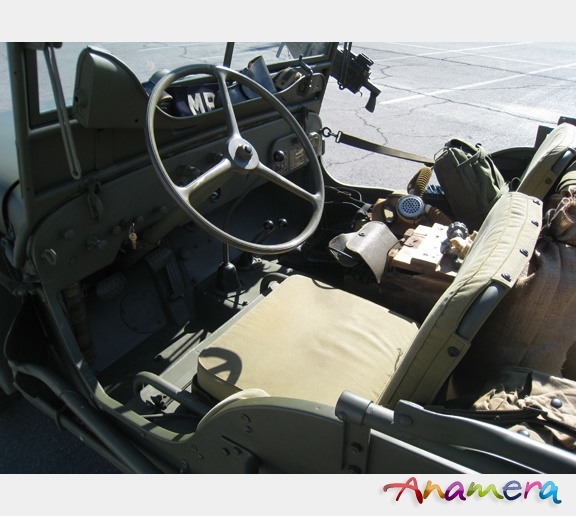 1942 Willys MB Military Jeep ID# MB23867 The Willys MB and Ford GPW were the original production models of the famous Jeep. 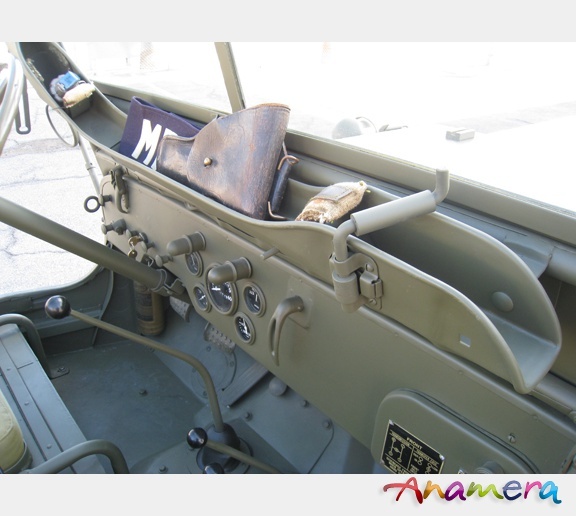 Production began in late 1941 to early 1942, and proceeded with many small variations in appearance and function until mid-1945 when the War was ending. 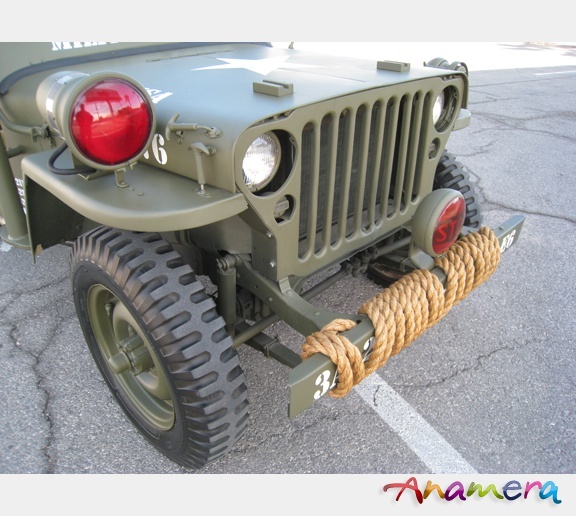 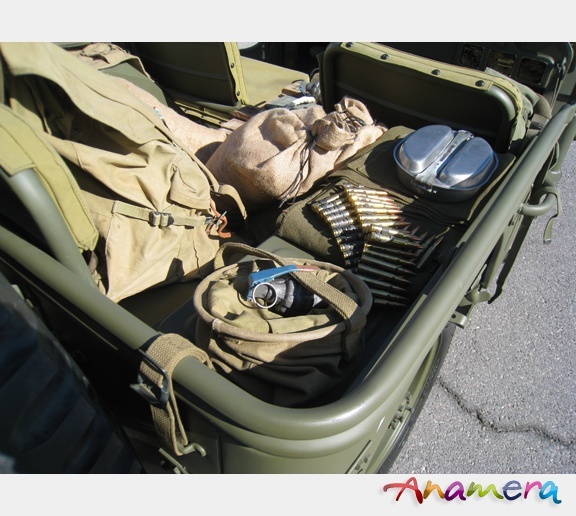 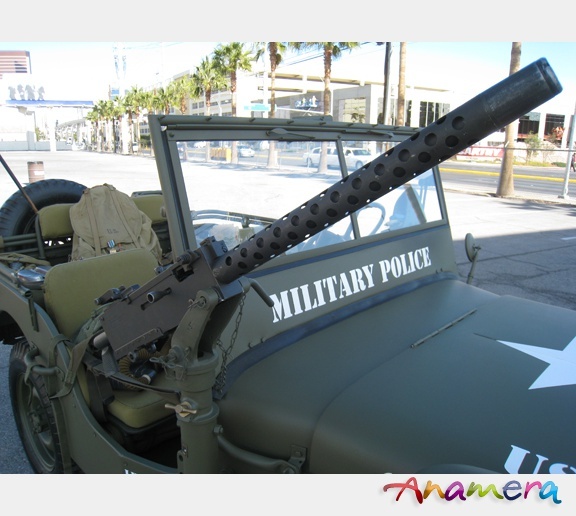 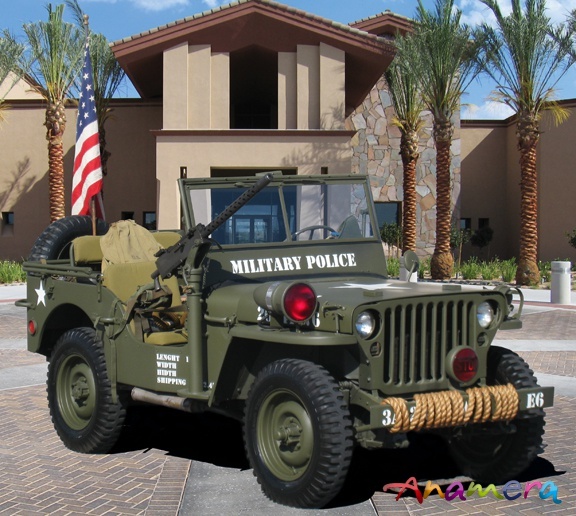 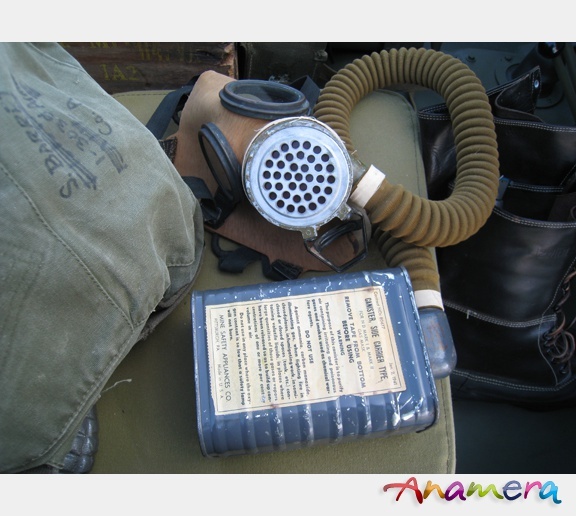 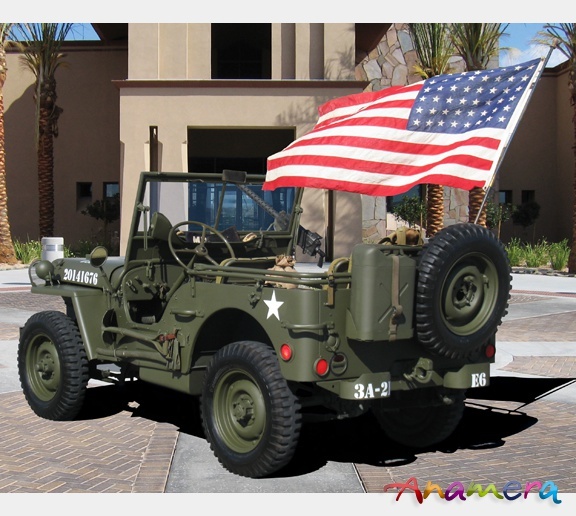 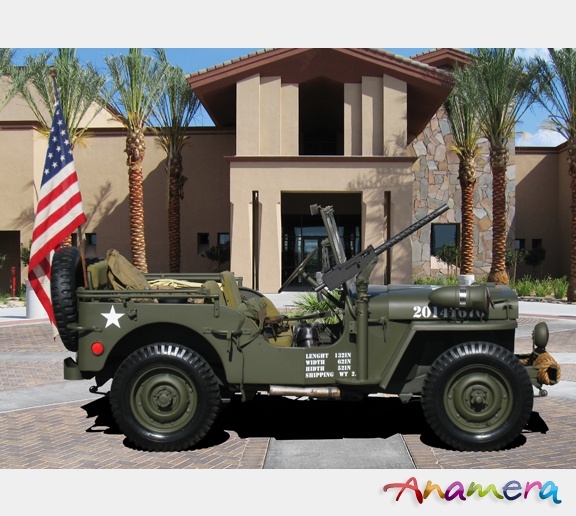 This original MP Military jeep has been fully restored and comes with accessories which include a vintage U.S. flag, vintage fire extinguisher, "mess" kit, U.S. Army back pack, ammunition box, gas mask, field radio, A4 machine gun (non functional), U.S. Army hatchet, pair of U.S. Army leggings, U.S. Army pick axe, canteen, grenade belt, empty pistol holster, pair of vintage boots, 4 sand bags, belt of replica 30cal. 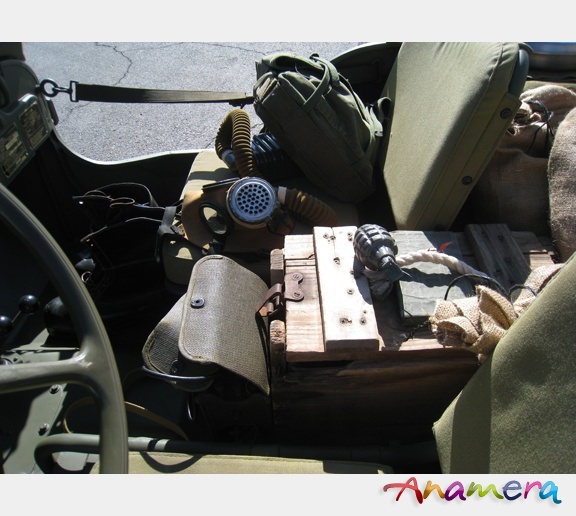 bullets, replica grenades, U.S. Army shovel and axe, gas can, red spotlight, red stoplight, LIFE magazine from October 1942 and miscellaneous newspapers from the early 1940&apos;s.